This sentence is made with an interpreter. I began it as the yoyo relay first now in various those days little over two years ago and the interval was a few spinner, too and made an animation. And the volume improved from the first, and the second was made immediately afterwards, too. The thing that the people who make a clip with oneself increased recently, but still the one step at the beginning is hard to step forward. Therefore it is a thought by the own animation which gets together to take it in various environmental people by this plan that it is said to establish the place of the expression. Experience, a picture does not intend to say particularly this and that here. 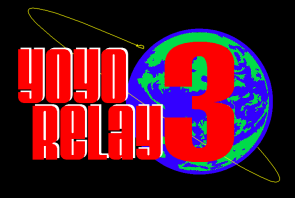 It becomes the plan to make such a yoyo relay animation after a long absence. ・ It does not regulate it in particular that face appearance, anonymity, the scenery are small. But F-word of clothes may regulate it. ・ I who am a sponsor am going to perform the editing of the animation. In addition, you may have you submit the presentation of the animation when until the deadline and do a time limit if the change is possible. In addition, this is because the participation expression and the animation presentation which had I participate and express that you distributed a time limit wanted to be able to season it with some flexibility about a presentation time limit if I can hear. Furthermore, I want to accept the animation even if I participate and do not express it. But I think that I have I participate as possible beforehand and express it because I want to grasp the shaku of the animation to some extent here. The presentation of the animation asks as well as a participation expression to kopitori ◆ livedoor.com (please change ◆ to @). You may use a File Sharing site and may have you attach a direct file. In addition, I am thankful when I have a title understand the effect of the presentation such as "animation presentation" (the name) and the name of the presenter. I ask with a comment column as things mentioned above if there are questions. In addition, the person having sorry for your inconvenience but you participate please contact it in comment column, email, Twitter. copyright © こぴとり。 all rights reserved.